Spring is here, and with it comes a time of rebirth and renewal. Can you imagine a better time to explore the Taos Ski Valley’s plentiful hiking trails? From Williams Lake to Wheeler Peak, there’s a hike for every nature lover — whether you’re novice to advanced. Carson National Forest offers seven unique hiking trails, ranging from the two-mile Williams Lake Trail to the eight-mile Wheeler Peak Trail. For beginners, Williams Lake is a fantastic choice. You’ll discover nature in all its green glory, thanks to a valley dotted with aspen, Englemann and blue spruce; western white fir; and even red fir and bristlecone pine. And don’t miss the lush meadows, alive with colorful wildflowers. 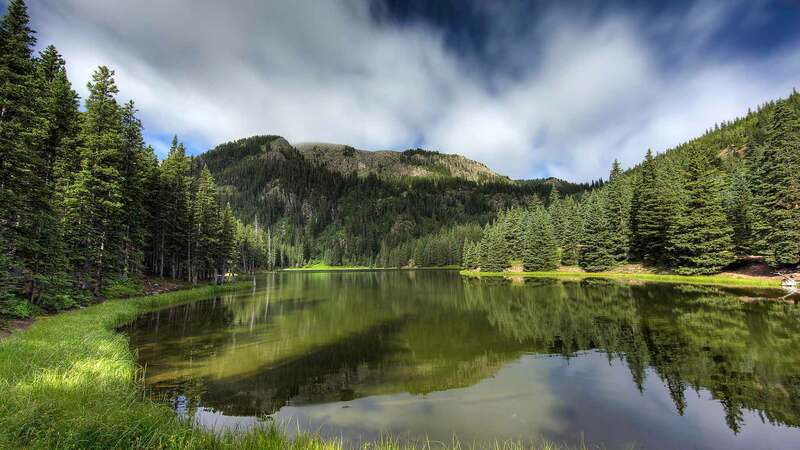 For expert hikers, test your skills by climbing New Mexico’s highest peak, Whealer Peak. The more than 13,000-foot summit is known for its unmatched views, and occasional glimpses of a bighorn sheep, elk or mule deer. No matter which hike you choose, remember to come prepared for varying temperatures, and to hike early to avoid afternoon lighting and rain showers. Waterproof boots and hiking poles are recommended, since many trails stay wet from winter snows into the summer. If you’re ready to indulge in nature’s majestic beauty, why not take a hike?